There has always been questions of how well certain Nintendo characters might survive in eachother’s worlds. A lot of answers came from Super Smash Bros., particularly Brawl’s Subspace Emissary mode, but other than that, one can only look to fan games and videos and make a judgement themselves. 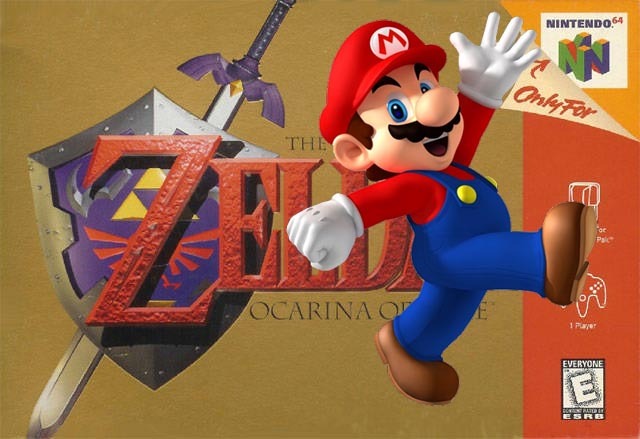 YouTuber SwankyBox has taken on these questions, and looked at several logical examples of how well Link and Mario might deal with switching to eachother’s popular Nintendo 64 games. I really like things like this. One of the reasons I love Super Smash Bros. is the idea of seeing the effect of various powers of characters on eachother, and Subspace Emissary was the closest thing to a real Nintendo crossover adventure we have yet seen, but something like this is quite different. Imagine if Nintendo decided to have a game where you travel through Mario’s world as Link, or vice versa, for a full cross-world journey. It would be interesting, considering Mario’s physics-defying jumps and moves, and Link’s large arsenal, as noted in the video. What do you guys think? Could Link survive in the Mushroom Kingdom, and could Mario make it through a Hyrule adventure? Drop a comment!